Our annual WildCamp is a week-long day camp for children entering grades K-6. Children will discover connections to nature through hands-on activities, close encounters with our wildlife ambassador animals, games, and craft projects. 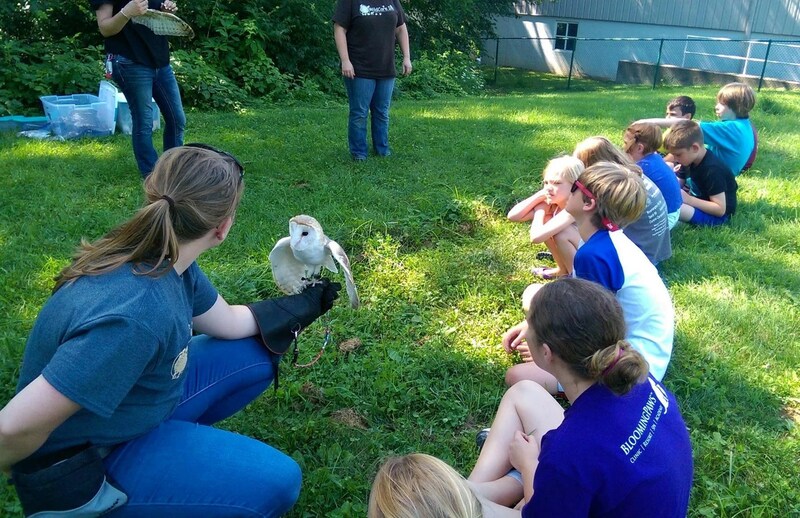 Camp activities are all geared toward teaching campers appreciation for the natural world and the importance of learning to live in harmony with our wild neighbors. 198 N. Hartstrait Rd., Bloomington, IN 47404. WildCamp will be offered this year July 8th-12th, 2019. Registration for WildCamp 2019 is now closed due to reaching capacity. If you would like your child to be on the WildCamp waitlist, please email wildcareinceducation@gmail.com. Questions about WildCamp? Please email wildcareinceducation@gmail.com.